The next organising meeting for the Bristol anarchist bookfair 2010 takes place onTuesday 6 April, 7.30pm, at Kebele social centre, 14 Robertson Rd, Bristol BS5 6JY. All anarchists interested in helping to spread anarchist ideas and practices are welcome. 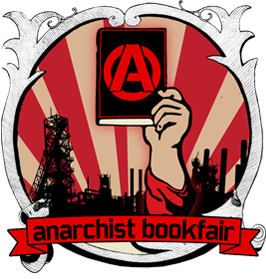 Meanwhile there is an apparent growth of anarchist & alternative bookfairs happening in the UK and abroad. This is a positive move for 2 reasons. Firstly it indicates increased co-operation between different anarchist trends to put them on. Secondly it indicates a growing interest in anarchism and alternatives to the failings of capital and the state – not surprising perhaps given the state of the economy, and planet. This doesn’t mean a revolution is around the corner, but its a move in the right direction.